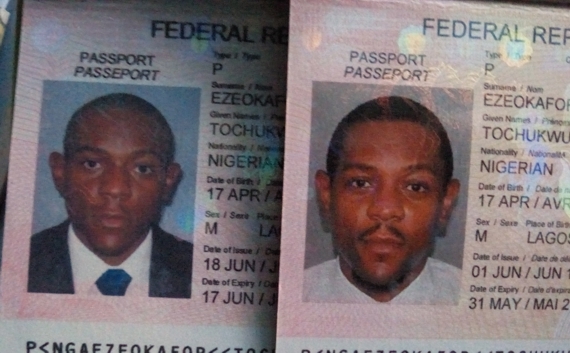 Hello, interested in getting/renewing your Nigerian passport without paying any extra charges? Then you’ve come to the right place. Enjoy reading this do-it-yourself guide. Thank me later! I’ll teach this class drawing from my experience obtaining the passport in 2008, and renewing it in 2016. For adults aged 18-59, the passport costs only N15,000 for the 32-page booklet type or N20,000 for the 64-page booklet type. The only other additional money to be spent is N2,000 for address verification and N600 service charge. That’s a total of only N17,600 or N22,600 depending on booklet type. All payable online. First go here https://portal.immigration.gov.ng/passport/epassport and fill the application form. Do make sure you print the form upon completion. When you’re done filling the form, make payment with your bank Naira debit Visa or MasterCard. Print out the payment slip and acknowledgment slip when you’re done paying. Pen your application letter for extension of validity of e-passport. Address it to the Comptroller General of the Nigerian Immigration Service and be sure to quote your passport number and expiry date. Interview dates…dates for photo capture are no longer given (you might be given an interview date in 2020! Lols), so proceed to the nearest Immigrations office of your choice for photo capture. Go with your expired passport and all documents listed above. When you get to the Immigrations office, there’s a lobby where applicants sit and are addressed before 9am. Sit there and inquire from the officer in charge how to go about the photo capture. In my case he was genuinely surprised I did everything myself without going through a third party. And in the Buhari anti-corruption spirit (in his own words), he helped me put my file together and quickly ushered me to the photo capture room. Photo capture is free. When you’re done you’ll be given a date for passport pick up. Mine was 7 working days later. This requires more work but is really nothing to be afraid of. The process is the same as cases for reissue. But the guarantor’s form can only be printed after filling the application form. Click here for the guarantor’s form https://portal.immigration.gov.ng/passport/PassportGuarantor . Take the completed guarantor’s form to the court for stamping/swearing. It costs only N500. You don't need to travel home to get the State/Local Government letter of identification. It can be issued to you at your State's Liaison Office in any State of your residence. Thanks for reading. Click here for official guidelines https://portal.immigration.gov.ng/pages/passportguidelines and here to get to the passport application start page https://portal.immigration.gov.ng/pages/welcome . Cheers!